Mr. O'Donnell and other attorneys at Atkinson, Conway & Gagnon have represented individuals and businesses that have been the subject of financial frauds and schemes. They have successfully prosecuted claims for the sale of unregistered securities, for violation of seller "due diligence" and "suitability" requirements, for account "churing," and for financial transactions induced by fraudulent or misleading information. Mr. O'Donnell and other attorneys at the firm have worked with forensic accountants and securities experts to successfully present claims for improper sale of securities, deceptive business practices and financial fraud. 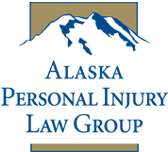 Mr. O'Donnell, for example, successfully handled a case involving Alaskan homesteaders who invested State of Alaska highway condemnation proceeds in a commodities future limited partnership on the advice of a national brokerage firm. 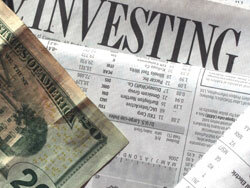 The brokerage firm had not performed a due diligence review of the limited partnership. The limited partnership lost approximately 90% of its value within a year with much of that loss resulting from fees and commissions. Mr. O'Donnell recovered a substantial confidential settlement for his clients. Klatt v. Foster & Marshall/American Express. Contact us. We will answer your questions and help you obtain damages for unfair and misleading conduct.